R.J. Rushdoony: 00:01 Who is protecting us? This is R.J. Rushdoony with a report on our threatened freedom. R.J. Rushdoony: 00:08 In an article in New York Magazine, Edward N. Costikyan and Maxwell Lehman call attention to an ugly fact, and I quote, “It has become a platitude and bitterly true, but people are afraid that the streets have been taken over by muggers. The police can’t protect the residents, although that duty is the first obligation of government,” unquote. This is a grim and ugly fact. If two men who are closely involved in politics tell us that our civil government is no longer able to meet its first obligation to protect the people, then we are really in trouble. There is no questioning the fact that today’s civil government is trying to do everything under the sun and doing nothing at all successfully. R.J. Rushdoony: 01:00 In terms of efficiency and effectiveness, the only thing that civil government does at all well is to take money away from us. Having said this, however, we must add that the fault is by no means entirely on the side of civil authorities. Lawlessness is so widespread and extensive that it is becoming impossible to control it. I can still recall the whining of one man at a neighborhood meeting a few years ago about how the police were not doing their job. The fact was that his boys were the neighborhood menace. We have no rights to complain about the fader of the police if we are creating a part of the problem by failing to train our children properly. This is not all. R.J. Rushdoony: 01:49 The Church has always been the main force for law enforcement. By the religious and moral instruction it gives, the Church has been America’s greatest law enforcement agency. This, however, is not true now of many churches. Neither sound doctrine or sound morals seem to be present in many Sunday School lessons and in pulpit expositions. To teach Sunday School children something about American Indian cultures and aspirations and nothing about the 10 Commandments is hardly sound teaching our morality. Instead of being a moral force in the community, such churches become a disintegrating force, and the children are robbed of the moral of discipline and faith they so greatly need. R.J. Rushdoony: 02:37 Moreover, government, like charity, begins at home. The failure of the family to discipline its children is a key contributing factor to our moral decline. Today, government is indeed failing to protect its citizens, but the fader begins at more basic levels than the police. It represents the moral failure of the churches, families, and individuals for our country, whatever else an election might do. Whoever we may vote in, we cannot alter or erase the moral failure. It begins where we live, and the remedy also begins there. 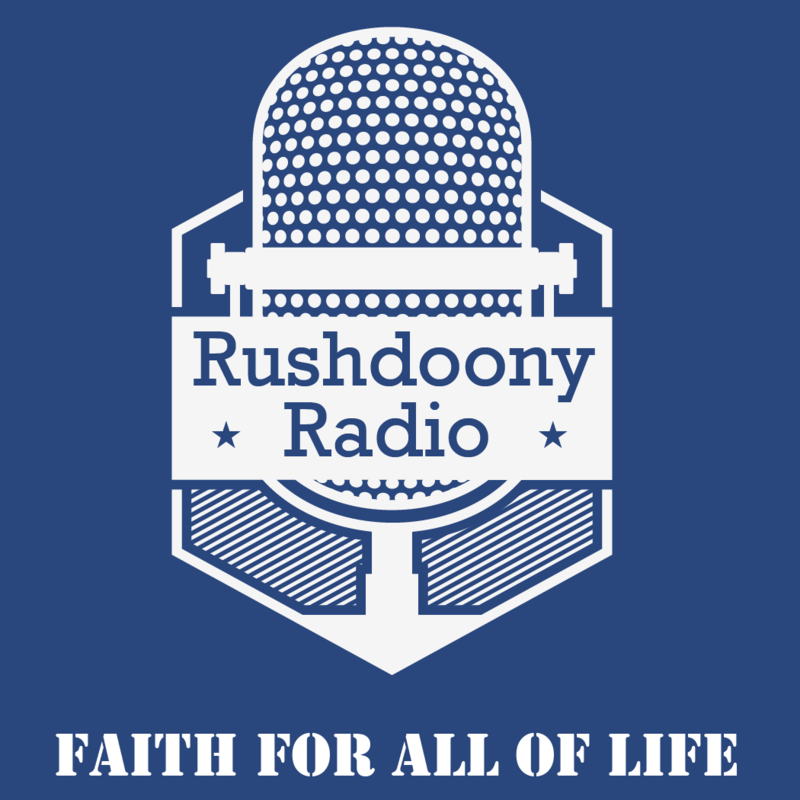 R.J. Rushdoony: 03:20 This has been R.J. Rushdoony with a report on our threatened freedom.